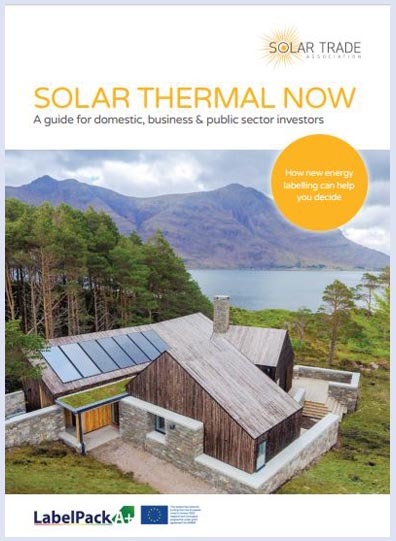 The Solar Trade Association (STA) have produced a new report called Solar Thermal Now. The report was produced in collaboration with the solar thermal working group. The STA launched the report at the Stamford Bridge leg of PHEX 2017 on the 15th November. It dispels common misconceptions of solar thermal and showcases it’s flexibility and broad application. The report also highlights the enormous potential for cost and carbon saving. Download your copy of the Solar Thermal Now report. There has already been a good response from the industry. The message that “It’s time to shake off solar thermal’s preconceptions” has started to spread across social media and in blogs online. Solar thermal has great potential, particularly with home owners. We want to encourage more installers to look into the technology as a viable heating source, along with other renewable technologies. Please consider sharing the report with your followers on Twitter or share it on Facebook.